The Reverend Jake Manning of Norfolk, Virginia sipped on his cup of coffee and said to me. "You can not be successful based on what you say about yourself or work. Success comes when someone else pushes you". As a life-long loner, I did not want to accept that but the late pastor was right. No matter what I achieved, few people noticed but I kept on reaching, kept on producing, virtually alone... and then I heard and understood the power of the second hand clapping in my life... and I am pleased to acknowledge and receive help from anyone who shares my vision. I love helping others, now I have discovered the joy of returned support. I was surprised to discover this review on line and humbled when I read it. Here are the views of someone I do not know...a professional expressing his own response to Ki-Asana Zen: Bridging the gap between East and West. Embodying diverse traditions, Turner’s new approach deepens Zen meditation practice in the West. In a compact guide colored with Zen, martial arts, and devotional Bhakti yoga, ordained Christian minister Vernon Kitabu Turner constructs a bridge between East and West. With the author’s new Ki-Asana Zen practice, Western students of meditation and the martial arts will have access to an innovative approach that enhances and supplements Zen and other practices. Inspired by the samurai tradition at an early age in response to being bullied, Turner, a Christian, became a master of the martial arts. He eventually developed Zen Mushin Ryu, combining intuition with self-defense. Turner was a student of Zen Master Nomura Roshi and experienced “Satori,” enlightenment. Later, Sadguru Sant Keshavadas named Turner his “spiritual son,” in his Bhakti yoga devotional lineage. This teacher charged him with bridging the gap between East and West. It took years, as the book explores the author’s spiritual development and how he began this bridging. Although sitting Zen has been among Turner’s personal practices since 1967, he notes how his Western students fared less well. This inquiry resulted in his insight that brought Ki-Asana Zen to life. In the last third of the book, he explains the process behind Ki-Asana Zen, a supplement to and not a replacement for sincere Zen meditation. 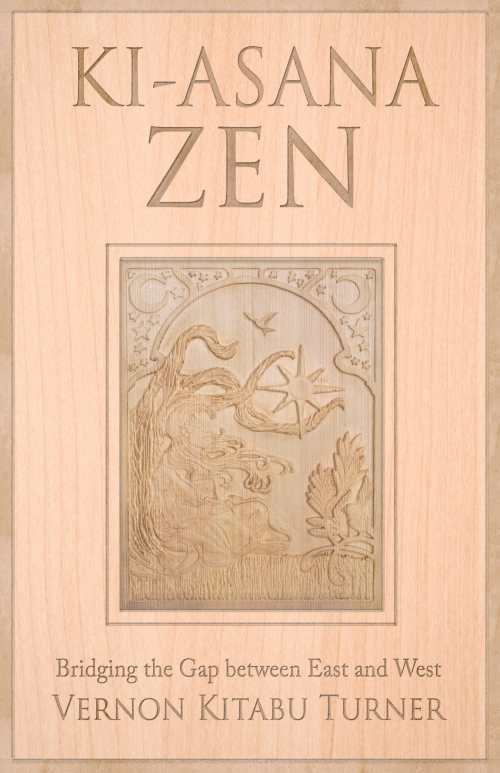 Turner’s book shares an innovative way for deepening Zen meditation practices in the West.